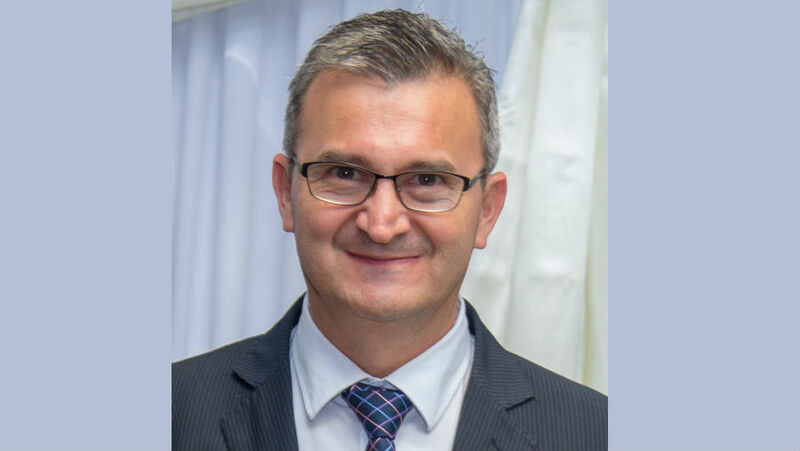 Dr. Miguel Scalamogna served as the Director of the Visual Programme at Fundacion Vision and its Medical Director from 2015 to 2018. Located in Paraguay, a landlocked, South American country with approximately 6.7 million inhabitants; Fundacion Vision has been working through its “Vision” programmes since 1992, performing more than 60 000 surgeries and providing services to more than 1 000 000 patients. The best word to describe Dr. Scalamogna is “Pioneer.” During the 16 years of his tenure as a Glaucoma and Anterior Segment specialist he has been instrumental in the growth of the biggest vision programme in the country. The qualities that make his work so special are his attention to details, focus and intensity, bringing a systematic way of thinking into complex situations in order to formulate strategic and well thought out plans. We can begin by saying that Dr. Scalamogna is one of the four founding members of the residency programme. During this time as a teacher, he has trained more than 75 doctors from 12 countries and conducted surgery training courses as a guest internationally in the South American Region. Realizing the need for specialized cared, he started the first Glaucoma fellowship in Paraguay, and since then has trained doctors from Bolivia, Colombia, Dominican Republic, Paraguay, and Venezuela, teaching them how compassionate care changes communities. His contribution in this field has been remarkable when you consider that most of the graduates of this programme work in places where there’s very little access to glaucoma care and continue to work either in the public or non-profit sectors. Finally, he spearheaded the development and implementation of the Medical Director Department at Fundacion Vision. He left a mark at the Fundacion during this period by modernizing the 4 eye clinics and mobile unit; he also developed the human capacity at all clinics with subspecialty services, bringing sub specialized care to marginalized communities that would otherwise not have this care. Dr. Scalamogna balanced this work with performing the most cataract, glaucoma and pediatric cataract procedures for several years and transferring these skills to his students. We believe that the world needs more physicians like Dr. Scalamogna, that have the foresight and perseverance to pioneer change through education and hard work. 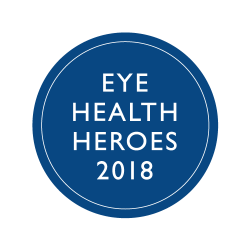 He’s a living example of an Eye Health Hero, and it is our honor to nominate him for this years prize. There is nothing truer than this in all Ophthalmology because everyday hundreds of patients come to us seeking visual recovery; people that live in a world of darkness and limitations. They trust our hands, challenging us to give our best for their recovery. There is no better reward than the happiness they express with that first smile after their surgical intervention.